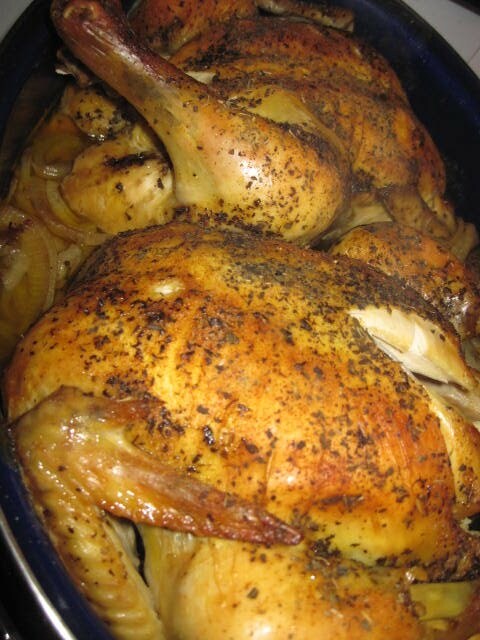 Place baked chicken in a pot and cover with water. 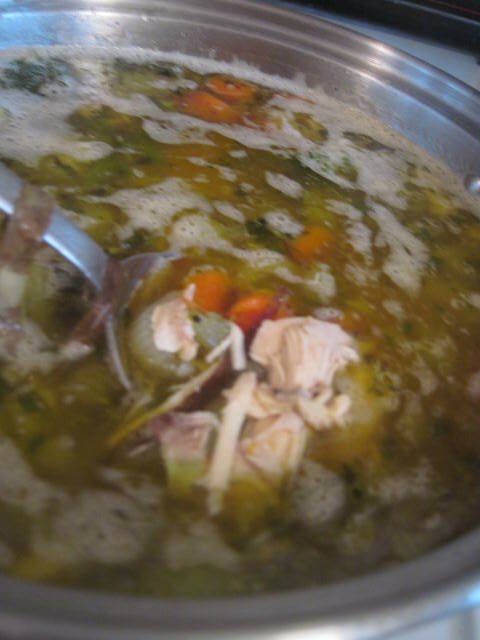 after cooking on medium heat for 45 minutes, drain liquid from pot, reserving liquid. Let chicken cool. After chicken has cooled, remove all bones and skin. 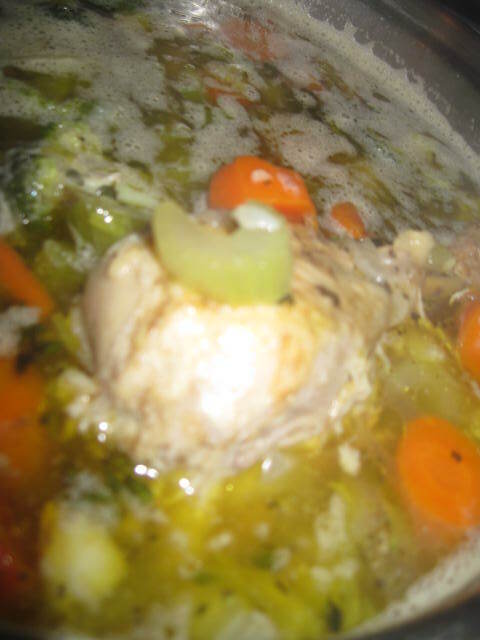 Cut up chicken into bite sized pieces.Place chicken back into pot of liquid. Add celery, carrots, onion, herbs, salt and pepper. Set aside. In a mixing bowl, mix together 4 eggs and 4 tablespoons chicken fat. Stir in the matzoh meal and salt. Add 1/4 cold water. Cover and refrigerate for at least 20 minutes. Form the matzoh dough into balls the size of walnuts. Bring the chicken and vegetables to a boil. Lower heat, add the matzoh balls, cover, and cook for 20 minutes (don’t even peek! ).